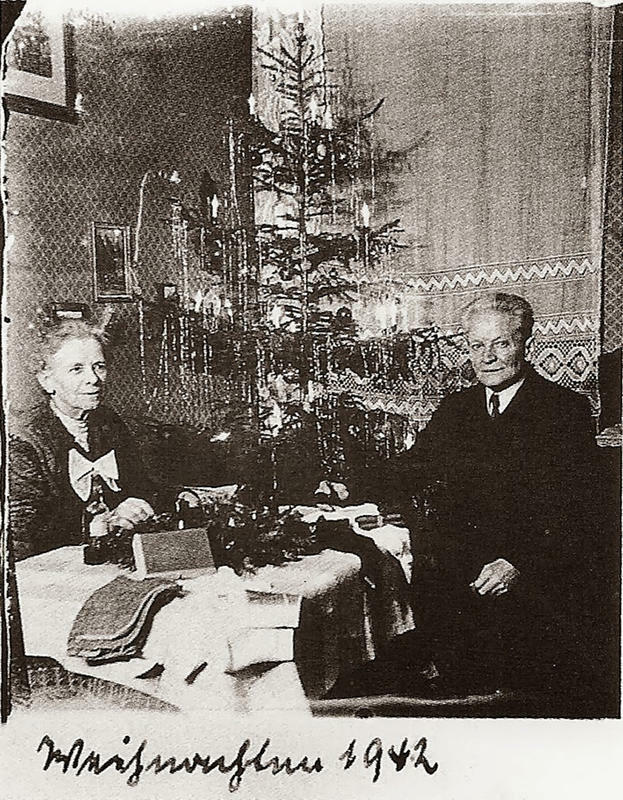 Just like many families today, Richard and Anna Wagner took annual holiday portraits. 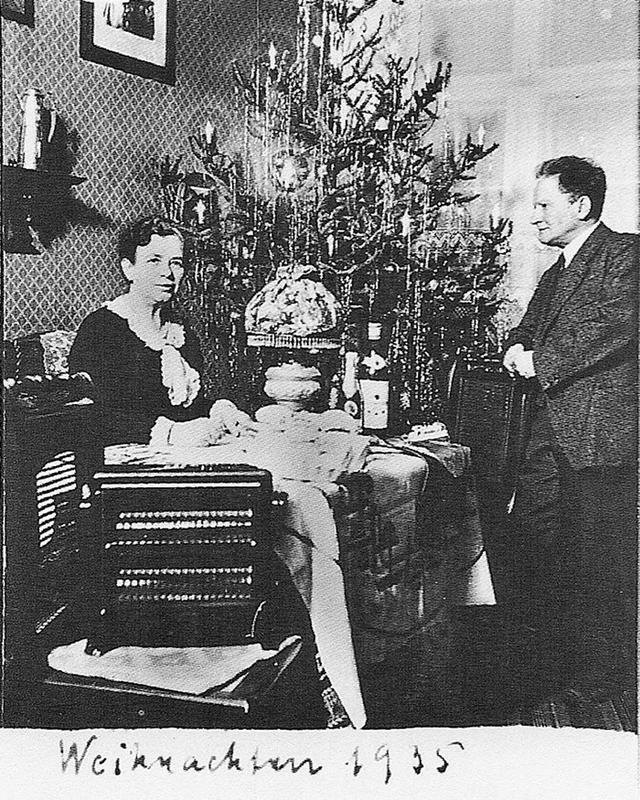 Taken every Christmas Eve, from the year they were married in 1900 until just a year before Anna’s death in 1943, the photos were sent out as Christmas cards to friends and family. For us modern viewers, it’s fascinating to see not only the couple age, but also the small addition of household items that were added as time passed and technology improved. Check out that vacuum cleaner in 1927! Here are eight of the photos from the series, offering us a quick look through those bygone years. 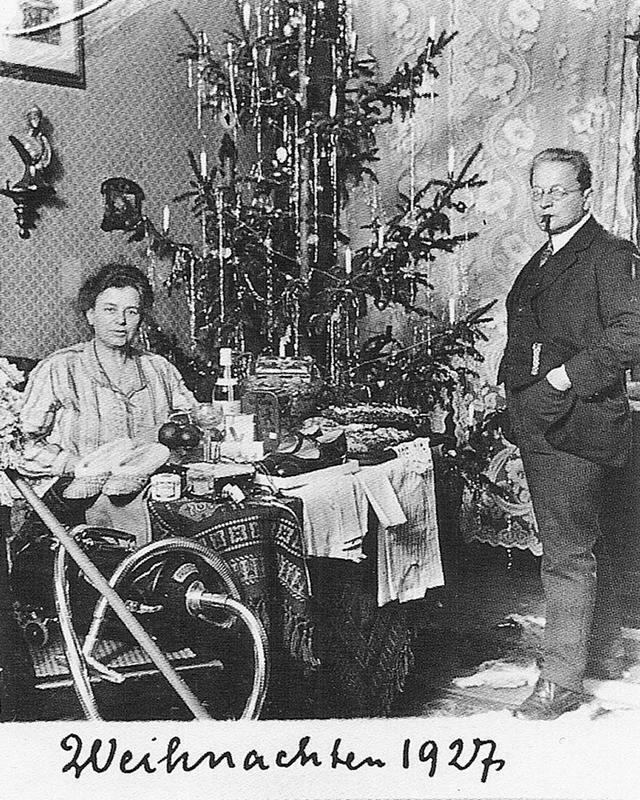 1900: The first photo shows the young and newly wed couple. Richard holds a silver topped cane and Anna lifts up her car Meitz to show him the many gifts they've received. The house has little decoration but looks comfortable. 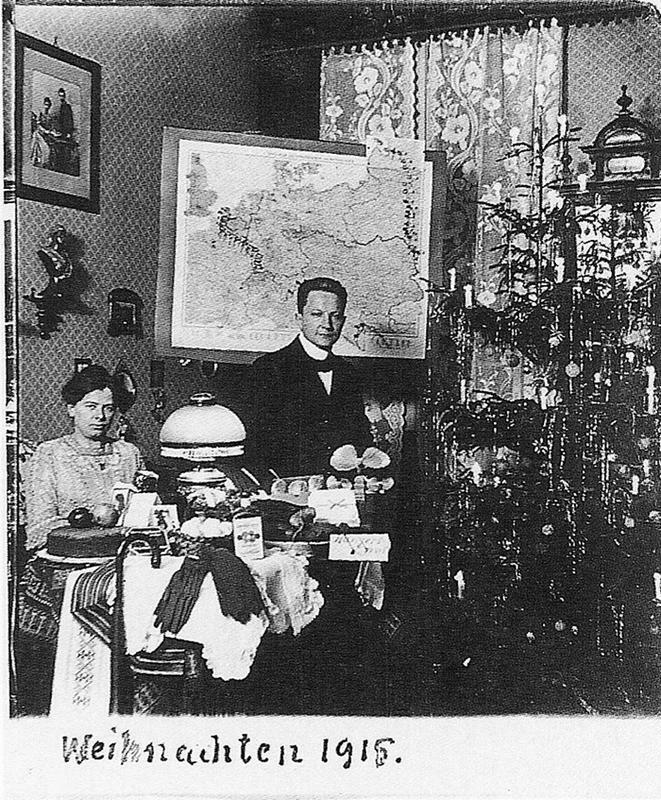 1912: Pictured here with some of their things, somehow showing their improving financial status. 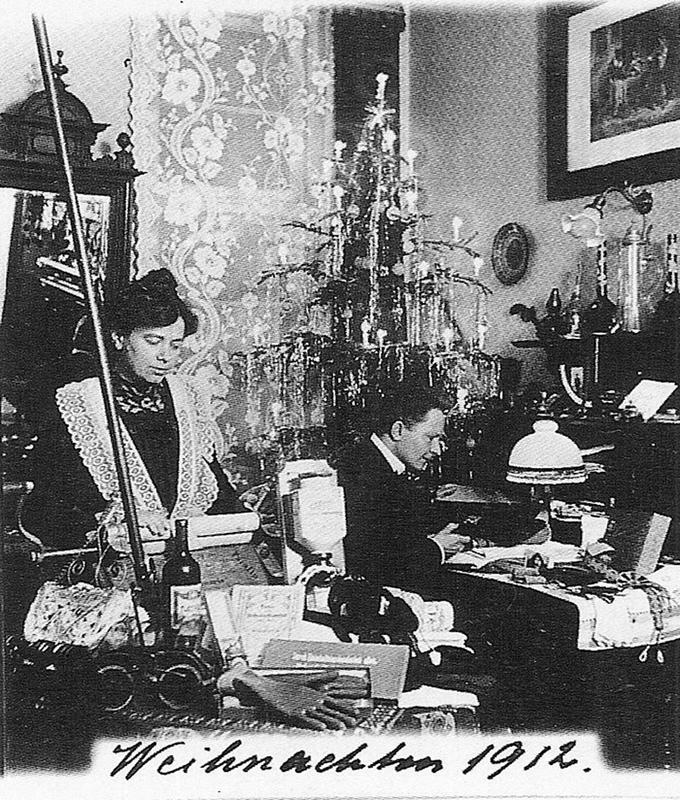 Richard now sits at the desk as Anna tidies around him. 1915: A map is included in this photo show the advances of the German Troops in the Great War. 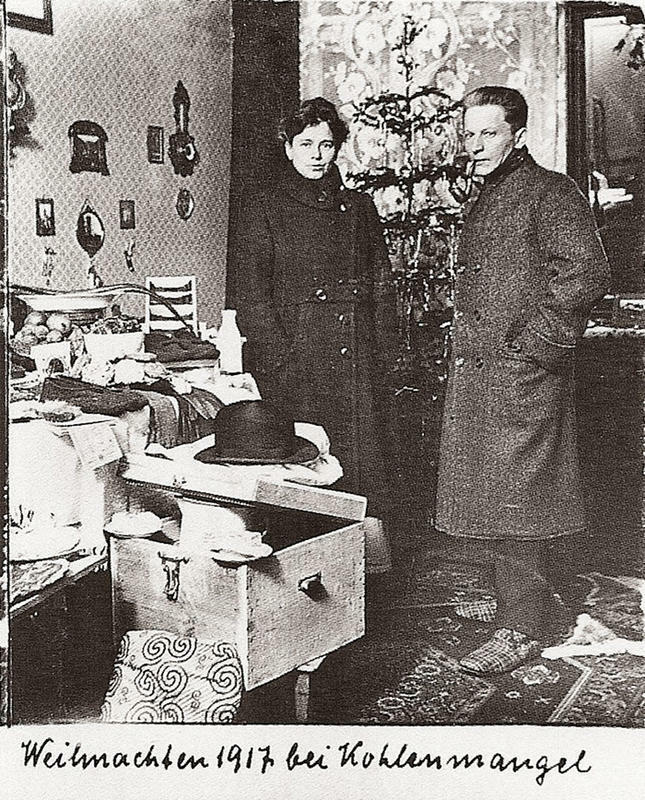 1917: The fortunes of the War have been reversed, and Anna and Richard are in their overcoats, signaling the lack of winter fuel. 1927: Richard begins is now with glasses and his hair is showing signs of grey. 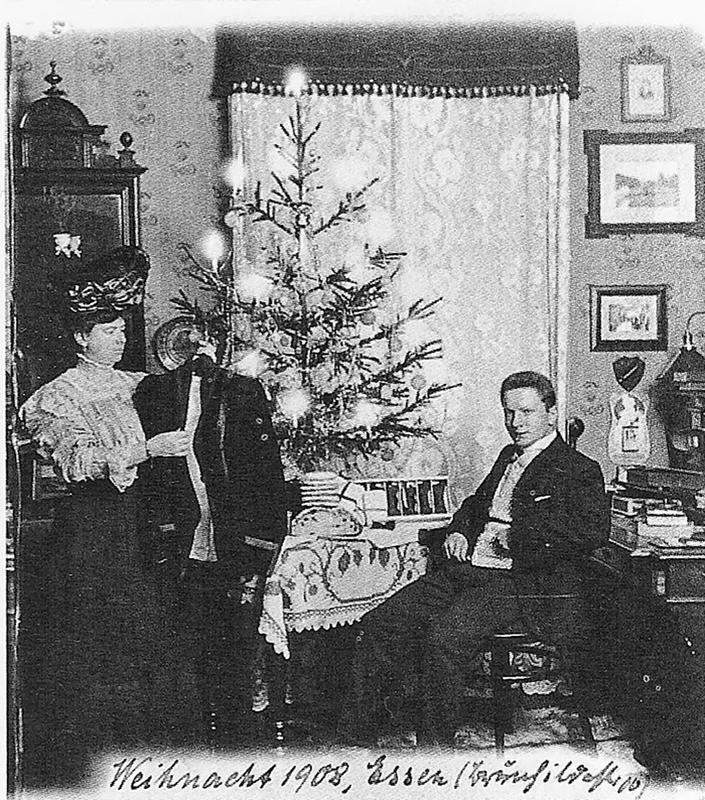 Anna’s got a new vacuum cleaner as her Christmas present – electricity has been installed. 1935: A frugal year. Richard begins to look older. 1942: By 1942, both have gone completely grey and are again wearing their winter coats. 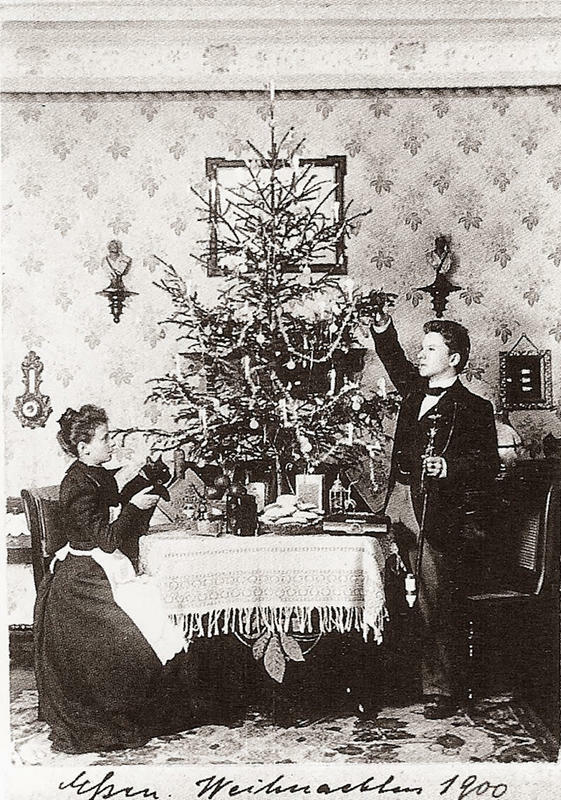 Reportedly, Richard took one final picture of Anna all alone – no tree, no presents. Anna died in August of that year. And even though Richard lived for another five years, the series stops here.